A drive-thru outdoor light park built over a mile of wooded roadway at Binder Park. Please use Rainbow Drive entrance only. The holiday themed displays depict everything from Santa Claus and his elves to choreographed lights synched to music. 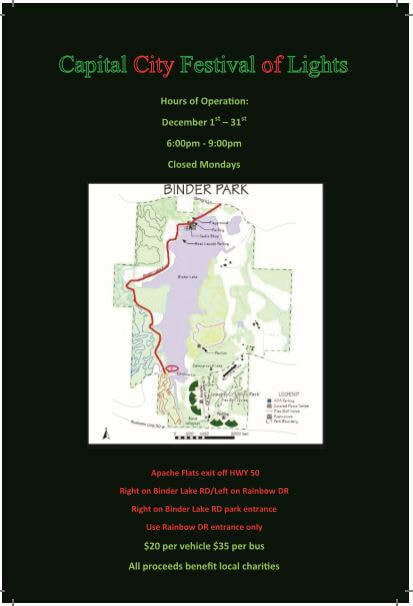 Load up your car and head to Binder Park to enjoy this magical time of year.